Okay so we got this. We were at Best Buy yesterday and we stood in front of it for about 5 minutes tweaking the buttons, admiring it's small footprint and nice design, listening to the quietness of it all, and we just got it. Nickel finish. We'll take it with us out to the Airstream tomorrow and make sure it hangs out nicely there before we peel off the stickers telling you red is hot and blue is cool or whatever they tell you. We currently have a little $16 heater we use when we're plugged into campground electricity, but it's easily kickable and falls over then smells burny for a bit. 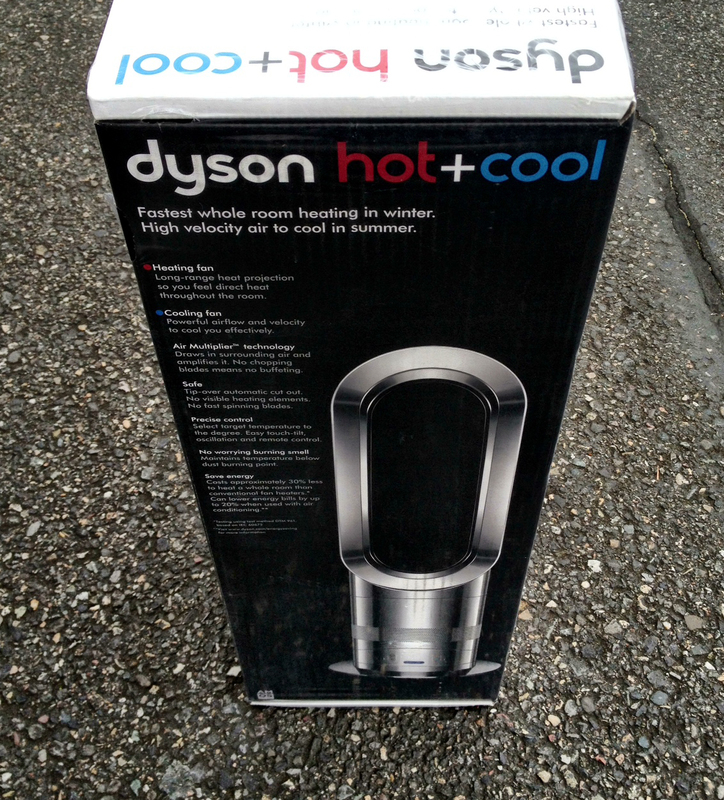 It's quiet and it heats the whole trailer nicely but the Dyson Hot + Cool is quieter, far more stylish, has the same small footprint, and has a cooling fan — which we don't have and could use but probably would never get a separate fan to carry around. Oh yeah, and it's got a little remote too, that is magnetic and sticks to the top of the unit so you (hopefully) won't lose it. We'll let you know how it is tomorrow. (We'll also be installing our ProPride hitch tomorrow…as soon as it's delivered.) Fun stuff!